On 2019-01-11, the World’s Tallest Water Sphere site had the pleasure of interviewing Mr. Armand Fiorletti, discussing his role on the building of the Union water tower, his engineering projects, and Union history. Mr. Fiorletti was born in January 1928 and is currently 91 years old. He worked many years for Grassnann and Kreh Inc. and later became Union Township’s first full time civil engineer. He later became an engineer for Union County. Grassnann and Kreh (GK) was a civil engineering firm in Union that had many clients and provided design services to Union home builders, site developers, and engineering projects. Henry Kreh did civil engineering in Union for over 50 years. Although the firm is now defunct, the building still stands on Salem Road. Working for GK after World War II, Mr. Fiorletti was well aware of the Bardy Farms on Union’s west side located in the Battle Hill area. He helped plan and lay out the golf course that was developed from farm land. After World War II, the need for housing was increasing and parts of the Bardy Farms were developed into industry and housing. Although streets like Morris Ave., Liberty Ave., Springfield Ave., and Milltown Road existed at the time, new streets were needed. Mr. Fiorletti helped lay out Rahway Avenue and the streets off of Liberty Avenue: Hickory Road, Academy, Pinewood Road, Hemlock Road, and others. Mr. Fiorletti was also involved in the “siting” plan in which the road width, the utilities, and the lot sizes are designed. Fiorletti knew and remembered fondly the Cape Cod and split-level houses in the area. Asked if he was aware of the builders of the houses on Willard and Arnold Place, Mr. Fiorletti said yes, and he also said he worked with the builders. Grassnann and Kreh did many designs to site those houses, and GK had contracts with Fred and Willard Wuethrich to build them. Willard Place is named after Willard Wuethrich. David Wuethrich, son of Willard, is a contributor to this site and graduated Union High class of 1980. Later on, Fiorletti was also involved in the land development and siting north of the Larchmont reservation. He was familiar with Audrey Terrace, Alice Terrace, and Debra Way. He was impressed with the size of the houses the builders put on the plots. About 1962, GK worked with Chicago Bridge and Iron Works to build a water tower for Union. Mr. Fiorletti was aware of the water pressure problems in the growing town of Union. The current WTWS site had water wells (still in use today) and a pump house, but more was needed. Mr. Fiorletti developed the site plan and also served as project manager for the building of the WTWS. Although Chicago Bridge and Ironworks did the WTWS design, GK handled engineering issues for the town of Union. The planning took almost two years, but once building commenced, Mr. Fiorletti was impressed with the speed of completion, about one year. The Union water tower was completed in 1964 and to this day provides Union with clean water and steady water pressure. We discussed the water system of Union. Mr. Fiorletti knew of Union’s well water from the Kawameeh swamp area. He also mentioned that there are wells all over Union. He said many of the older houses off of Liberty Avenue also have wells, some of them capped with man hole covers, and some still functioning. We both agreed that Union has some high quality and good tasting municipal water compared to the rest of the country. 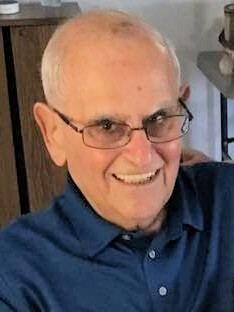 Later on when Mr. Fiorletti became a full time engineer for the town of Union, he moved into Mayor Biertempful’s offices on Swanstrom Place near the public works yard. Toward the end of the interview, we discussed much of Union history, from Connecticut Farms time to the present. Mr. Fiorletti is proud of his contribution to the World’s Tallest Water Sphere and Union history. We hope to talk with him again and find more interesting facts. Thank you Mr. Fiorletti. May your work on the WTWS continue to serve as a landmark, an inspiration, and a functioning utility of the Township of Union. This entry was posted on Sunday, January 13th, 2019 at 10:45 am	and is filed under History. You can follow any responses to this entry through the RSS 2.0 feed. Both comments and pings are currently closed.